Several months ago, my friend Michael Lambe, who edits the excellent Deep Kyoto blog about Kyoto, asked me to contribute a piece to a walking guide to the city called Deep Kyoto: Walks. 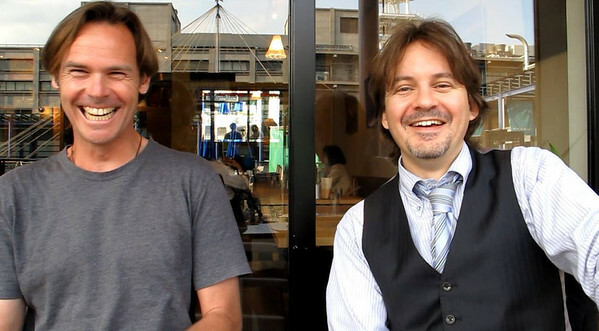 Michael edited the e-book with our joint friend Ted Taylor. Michael asked some of the leading Kyoto-based writers to contribute. The book even includes a piece by the famed travel writer and essayist Pico Iyer (who, technically, lives in Nara but knows Kyoto extremely well). The other day, I caught up with Michael to interview him about the book. Chris Rowthorn: Tell me a little about the Deep Kyoto: Walks project? 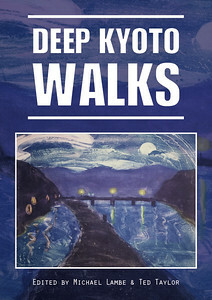 Michael Lambe: Deep Kyoto: Walks is an independently produced anthology of meditative strolls around Japan’s ancient capital. All of the writers have lived here for many years, know Kyoto intimately, and in their chosen walks they are mapping out their personal relationships with the city. I think the book gives a rich insight into what it is like to live here and why this city is so special. CR: Why did you decide to do this project? ML: Over the years I have gotten to know a lot of great writers here in Kyoto. It occurred to me that if we all made a book together, we could create something wonderful. When I teamed up with my co-editor, Ted Taylor, a book of walks seemed a logical choice as he is such a keen hiker. I had also been practicing a kind of walking meditation at the time. Wandering around my neighborhood in a more meditative way, I started to notice more about what was going on both around me and inside me too. I thought it a worthy idea for a book to combine this kind of external and internal wandering into a series of narratives, and this idea excited me. CR: How is Deep Kyoto: Walks different from an ordinary guidebook? ML: Rather than a guidebook I see it as a kind of literary tribute to Kyoto that will inspire people to come here and discover this wonderful city for themselves. You will learn a lot about Kyoto from reading Deep Kyoto: Walks but it won’t be a set of prescribed routes with dry nuggets of historical or architectural information dotted along them. On the contrary the reader is encouraged to wander, to get lost even, and seek out those hidden delights of Kyoto city life. I think Pico Iyer puts it well in his piece when he says, “the point of my walk… is not to pick up highlights from a guidebook. The low lights are enough.” Everyday life itself is fascinating in Kyoto. CR: Why do you think Kyoto lends itself to this kind of approach? ML: Well, Kyoto is perfect for walking! As cities go it is fairly compact and on the whole it is laid out in an orderly grid pattern, from north to south and east to west. That makes it really easy to find your way around. And there is so much to discover and explore! Not just the famous sites like the rock garden of Ryōan-ji, or the Temple of the Golden Pavilion, but all those little places down the side-streets: the craft shops and cafes, galleries and gardens, bakeries, bars and tiny road-side shrines… And you are never far from nature either. If you fancy more strenuous exercise you can go for a hike in the surrounding mountains, or you can take a gentler stroll along one of the tree-lined rivers and canals that bring cool air deep into the center of the city. Going for a walk here really is a joy. CR: How did you select the authors? ML: They are for the most part people I already knew. I began with a list of key people, who I knew were both talented and experienced writers and and more importantly could write well about this city. But I wanted some fresh talent as well to spice the book up a bit, so I also invited people who weren’t so well known for their writing, but who I felt had the required talent for self-expression. I’m pleased to say my instincts were right and the newcomers wrote some very fine pieces indeed. CR: Were you surprised by any of the contributions? ML: Everybody took my original idea and interpreted it in very different but very wonderful ways. The variety of experience in the book is remarkable. Your own piece was an unexpectedly hilarious trip through your own youthful escapades. Pico Iyer’s piece too included a rather touching look back at his early days in Kyoto when he was writing The Lady and the Monk. And among the newcomers, Bridget Scott really impressed me with how well she interpreted that idea of meditative walking. When I read her piece I felt that she had really put down roots and knew her neighborhood really deeply. CR: Now that Deep Kyoto has produced a guidebook, do you see yourself doing any similar projects in the future? ML: Oh, definitely. I have all kinds of ideas for future Deep Kyoto titles swirling round in my head! Putting this book together though, has been a real learning experience. If I were to produce a book like this again, for efficiency’s sake I might work with a smaller and tighter group of people, say one photographer and a team of two or three writers. I also might limit my own role strictly to that of editor, rather than both writing and editing. On the other hand it would also be nice to focus on my own writing for a while and have someone else edit that. I’m greedy though, so inevitably I know I’ll want to do both. For now though, I’m very happy with this book. Deep Kyoto: Walks has turned out to be a fine tribute to the city that I love… and it’s got all my favorite people in it. Read more at the official page about Deep Kyoto:Walks on the Deep Kyoto blog. PS: You can see some of my own favorite walks in Kyoto on the Kyoto Walking Itineraries and Kyoto Off The Beaten Track Itineraries pages.